Awarded Innovation by LIFAair, Invented Together with World's leading IAQ Scientists and Professionals. Protects the finer filter stages and therefore prolong filter change interval. 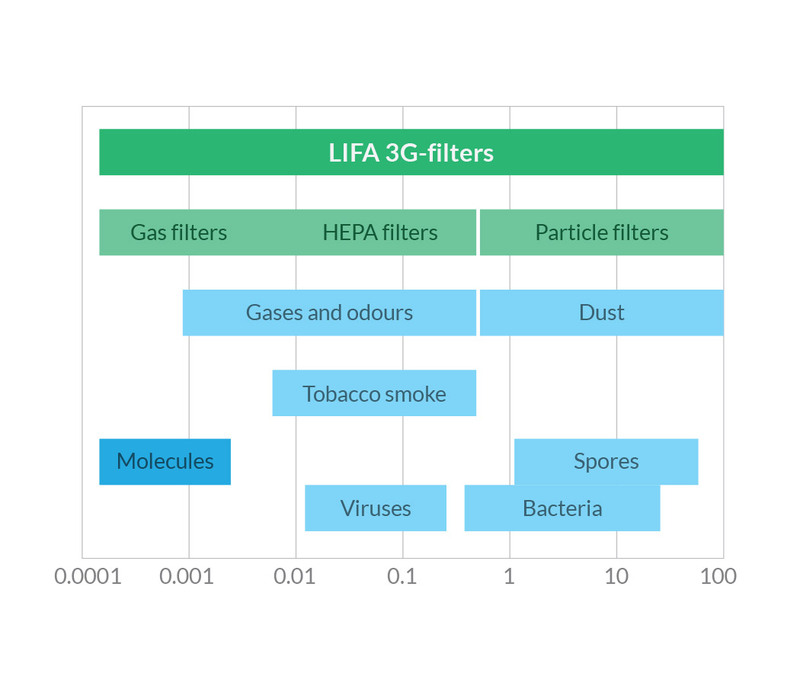 Ionization of particles enhances remarkably the filtering abilities of 3G-filters. 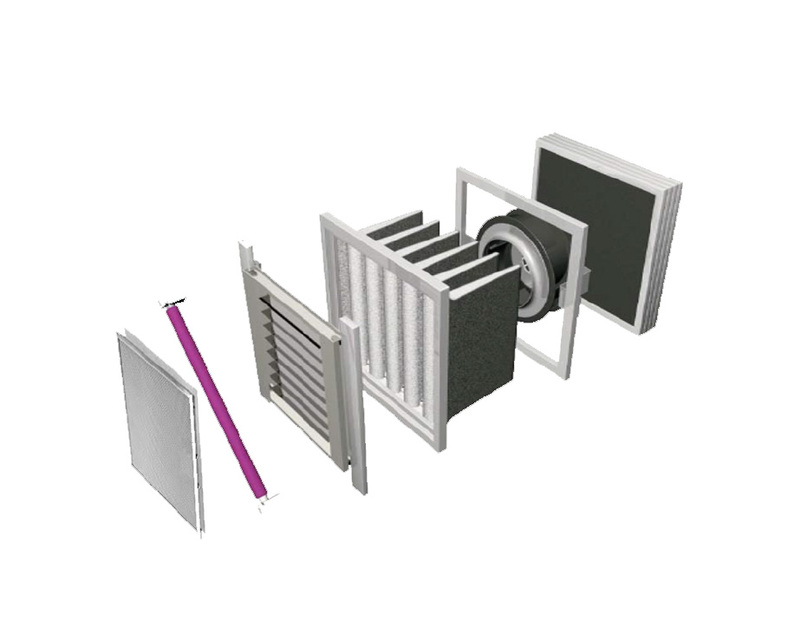 High dust holding capacity meets superior filtration efficiency in this special electret filter layer. Continuous Ionization maintains the efficiency high through the whole life span of the filter. Optional ionization after filters improves the circulation of particles in the room. Optional active carbon filter offers additional protection in demanding cases, such as heavily crowded smoking rooms. 3G filtration systems can effectively collect particles, gaseous contaminants and organic compounds. The collected microorganisms are destroyed daily by UV-radiation where as active carbon layers absorb gaseous contaminants, thus avoiding risk of secondary pollution. 3G-filters offer comprehensive protection against Nuclear-, Biological- and Chemical threats. The technology was developed by LIFAair and the Finnish national technical research center (VTT) over sevarl years, resulting in discovery of an extremely advanced filtration solution. 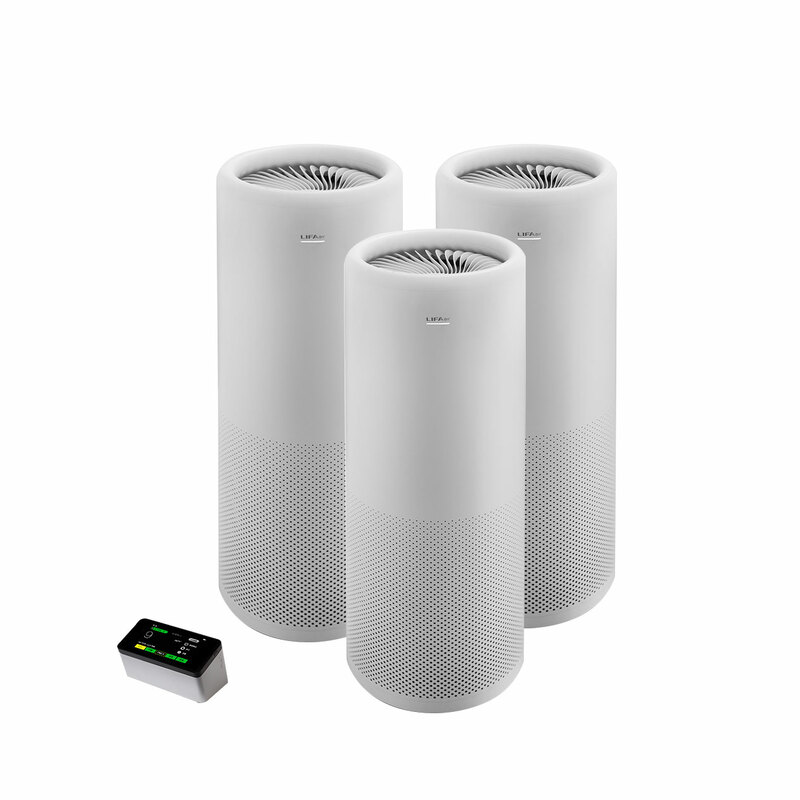 The technology is finally available for consumers in the high end Air Purifier LA600's model revolutionary fresh air purifier LAF500. 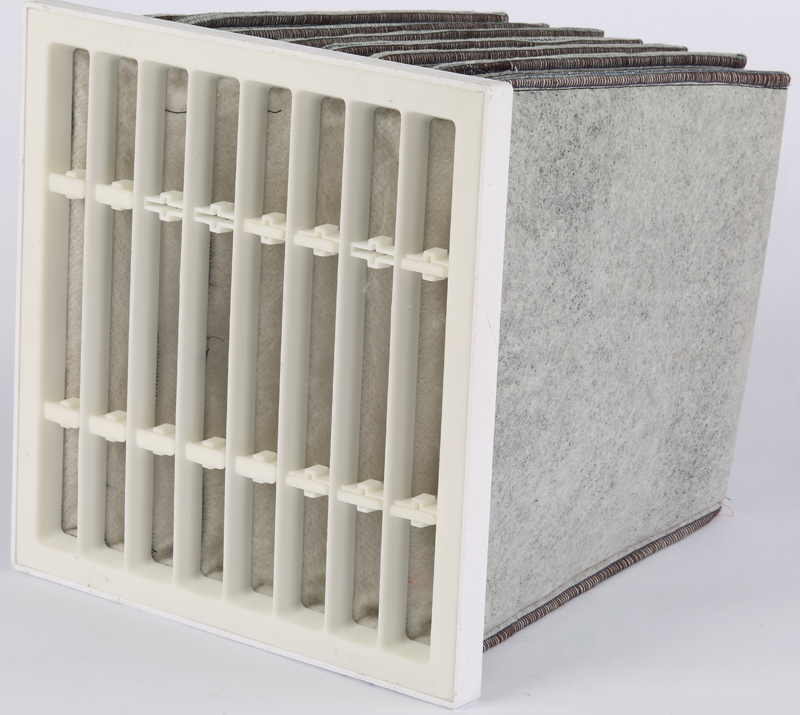 With unique materials and structure, 3G-filters are capable of filtering wide range on contaminants. Standard 3G-filters can remove <99,95 % of PM0.3, <99,99 % of PM2.5 and <95% of gases & TVOC. All this comes with very low pressure drop and energy consumption. The 3G-filters are designed to be used in harsh, polluted and moist conditions. Official tests conducted by authorities show that no other filter can retain it's filtration efficiency and low pressure drop after extreme loading with diesel particles. This guarantees huge energy savings and less frequent filter changes.